Public relations vehicle only just like the Land Rover. The RCMP seems to have a very interesting and diversified fleet. 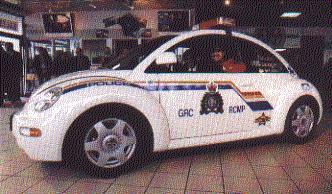 I never thought I would see a VW Beetle as a cop car.